Feel tense after a long, stressful day? Do you have trouble falling asleep and staying asleep? 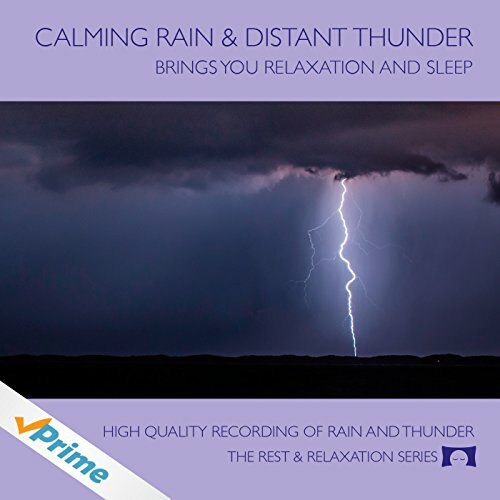 Relax to soothing nature sounds with the Calming Rain and Distant Thunderstorm CD. The ONLY nature CDs created by a certified music therapist specializing in the use of sound to help reduce anxiety, stress and insomnia. This premium-quality CD drowns out external noise as it slowly, gently relaxes you. You’ll feel peace and calm wash over you and you’ll drift into restful sleep. Plus, you’ll wake up refreshed next morning – without that groggy feeling you’d get with sleeping meds. If you love rain and thunder – or if you simply crave peace and calm – order this CD right away. Plus, stock up for friends and family who have trouble relaxing or sleeping.